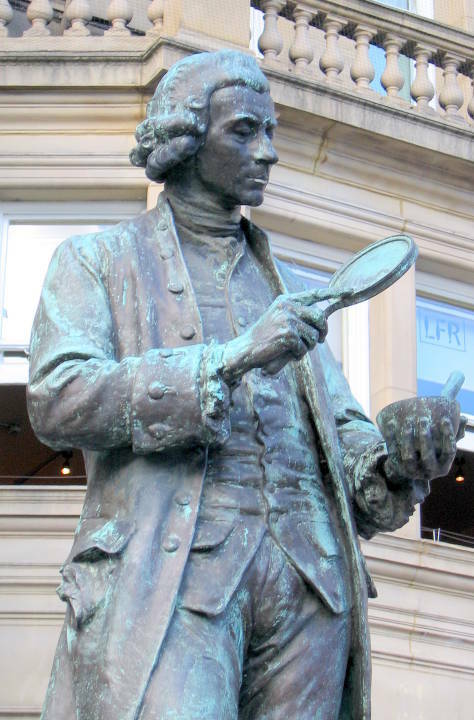 Joseph Priestley by Alfred Drury, R.A.
Drury's statue celebrates and memorialises a remarkable man. 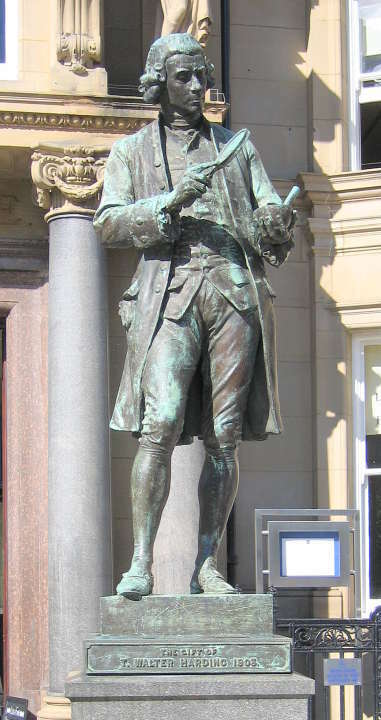 Born in Birstall, Fieldhead, near Leeds, the Reverend Joseph Priestley (1733-1804) is described in the Biographia Leodiensis as a "dissenting divine, but more justly eminent as a philosopher" (217) — his work on natural philosophy, alluded to in this statue, included the isolation of oxygen, and led to his being elected a fellow of the Royal Society. As well as helping lay the foundations for the study of chemistry, he was a grammarian, educationist, and a political as well as religious polemicist. 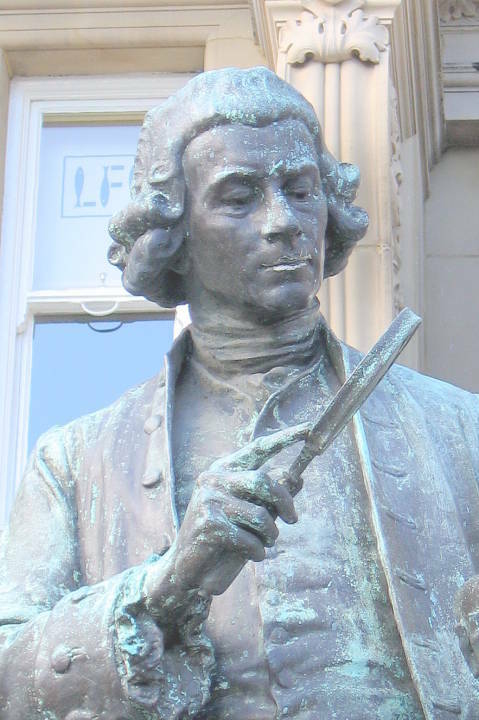 His life was as eventful as it was influential; he died in exile in Pennsylvania after his dissenting views, his efforts towards the repeal of the Test and Corporation Acts, and support of the French Revolution, culminated in rioting. Leach, Peter, and Nikolaus Pevsner. Yorkshire West Riding, Leeds, Bradford and the North. The Buildings of England series. New Haven & London: Yale University Press, 2009. Little, J. Stanley. "The Art of 1899. Part III. The Exhibition at Knightsbridge." The Studio. 17 (1899): 115. Schofield, Robert E, *Priestly, Joseph (1733-1804)." Oxford Dictionary of National Biography. Online ed. Web. 27 July 2011. Taylor, Rev. Richard Vickerman. The Biographia Leodiensis; or, biographical sketches of the worthies of Leeds. London: Simpkin, Marshall, & Co, 1865. Internet Archive. Web. 27 July 2011.